The Multipurpose class, which I wrote about earlier, is in a small urban setting, but it has a sister class in the village of Yeniceköy, about 24 miles away. I had met the class for the first time when the class and I both visited the village. The school there was inaugurating a wonderful new early childhood space; their sister class students clearly approved. 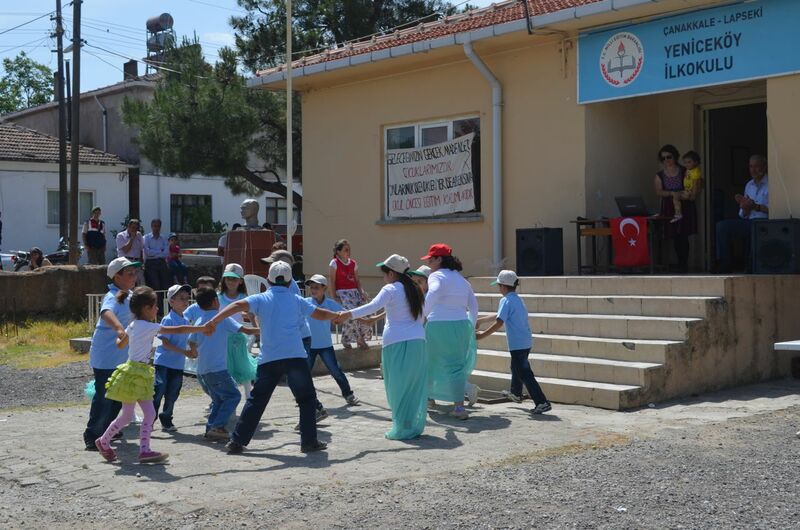 The primary school in Yeniceköy has only 14 children in a multigrade classroom (grades 1 to 4). This structure was once common throughout much of the world, but is less and less so today. There is a tendency to see efficiency in ever larger schools. Many point out that one can offer more specialized classes, computers, better facilities, address special needs, etc. in the larger school. The larger school enables a greater focus on teaching only measurable skills, the unfortunate trend of the day. However, much is lost in the move to larger, more impersonal schools. The challenge of teaching multiple ages seems daunting, but it’s less so when you realize that children of exactly the same age also vary greatly in terms of ability, interests, and learning styles. Moreover, children may learn even more as they become teachers of others. The school is, therefore an experiment in democratic living…It is influential because it belongs to its people. They share its ideas and ideals and its work. It takes from them as it gives to them. There are no bounds so far as I can see to what it could accomplish in social reconstruction if it had enough wisdom and insight and devotion and energy. Yeniceköy seems to be a community school. Parents have an involvement with the school and the learning there, which is rare in consolidated schools. Learning activities and village life are connected. It will be interesting to watch how the school develops. There is a wealth of energy and good will going into it, not limited to the preschool space alone. At the same time, larger societal pressures and values may push the school in other directions. As Clapp showed in the Arthurdale community, the school can become a social center, a means for coordinating shared interests and skills to benefit the entire community. In her case, local Appalachian culture operated through the school to support self-identity and understanding. The community school then becomes, in John Dewey’s terms, the starting point for democratic life. 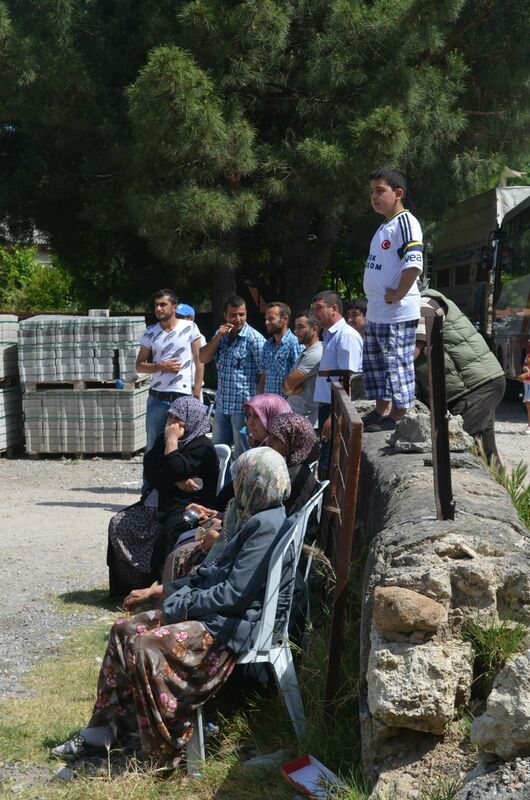 This entry was posted in Uncategorized and tagged education, Elsie Ripley Clapp, Turkey, USA. Bookmark the permalink.